The pujo season is here and we Bengalis have gone crazy these days! Oh yes. We are welcoming the festive season with lots of shopping and planning. But shopping is not enough to look gorgeous on these colorful days. Planning our looks for Durga Puja is equally important. So if you have been wondering how to do up your hair and makeup this pujo, fret not. 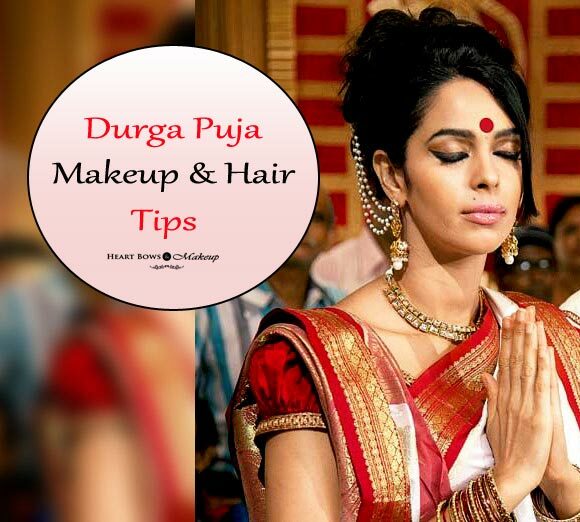 Team HBM brings you the best makeup & hair tips to look fabulous this Durga Puja! For morning keep your makeup light & natural. The weather is too unpredictable and if it doesn’t rain then the scorching sun is sure to melt your makeup. 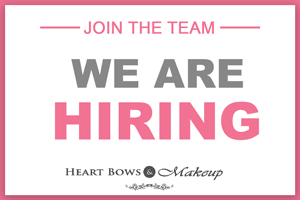 So apply a light waterproof base and always keep some blotting tissues handy. For the morning outing, you can apply a light layer of BB cream if you find that a foundation is too heavy for you. Apply a little compact powder to set the base but don’t forget to apply sunscreen beneath your base makeup. The makeup for daytime should always be light and fresh. For night, jazz up your makeup. Opt for a dewy base or if you have oily skin then powder highlighters are your best bet to fake that glow. This will help catch the light at the right angles of the face. Don’t forget to contour and apply a nice peach or pink blush.If you have planned a whole night outing or pandal hopping do make sure to use a good oil control primer which help keep your makeup in place. Bong beauties love their kajal and you can go as bold as you want with it during the pujo days but do make sure your kajal is smudge proof, you don’t want to end up looking like a panda, do you? If you are planning to do pandal hopping, it is imperative you use waterproof eyemakeup. For morning, keep your eye makeup soft and use neutral shade like a beige, light pink or a matte brown. For the night, we suggest a smouldering bronze eyemakeup or gold smokey eyes. Those, who have a darker complexion,could opt for bronze and chocolate eyeshadows as such colors compliment most of the ethnic wear and flatter the skintone really well. Bongs look the best with kohl rimmed eyes and a deep red lip. If you do not have dry lips opt for mattes. They last longer and are mostly transfer proof. Use vibrant colors at night which goes well with your outfits. For daytime opt for a nice peachy coral or pinks and go bold with reds at night. Don’t forget to read our tips on how to make your lipstick last longer so that you don’t end up touching it up throughout the day. I know bong girls love to experiment during Durga puja and buns with a bit of french braiding look absolutely gorgeous with sarees and ethnic wear. They are perfect for the day time when its really hot and you want the hair away from your face, but still a stylish do. You can check out these trending hairstyles of 2015 for some inspiration. 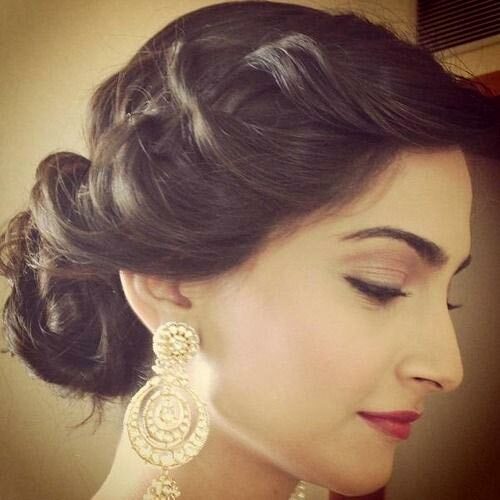 If you have long hair, then just do a half updo. But if your hair tends to be frizzy then do a french braid on the side and tie the length into a low bun which looks classy yet glamorous. Soft waves look equally good and if you don’t want to use heat then wash you hair, tie them in 1-2 inch braids and keep it overnight. You’ll wake up to beautiful no heat beachy waves! No Durga Puja Makeup look is complete without a small bindi especially if you are wearing a saree. 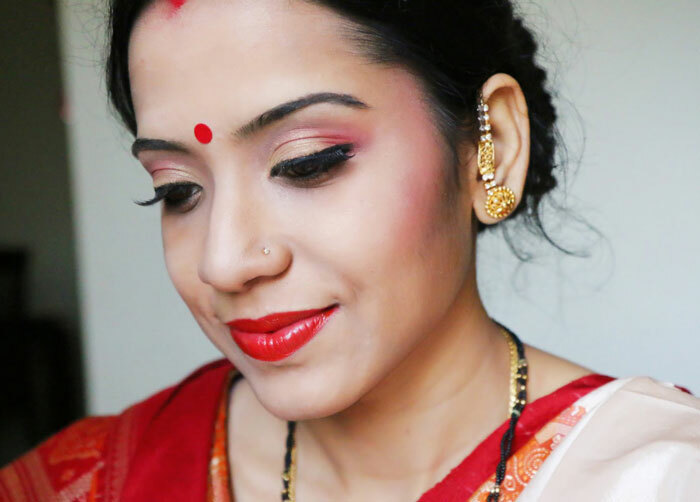 Opt for the traditional red and you my girl are ready to turn heads this Durga Puja.